More games for family game night! Goliath Games has provided me with these games to review. This game is called Lucky Ducks. 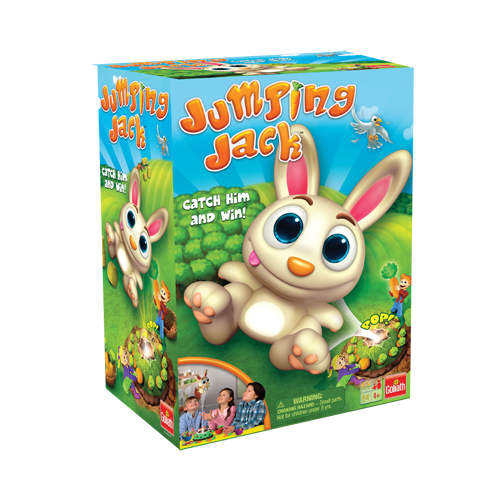 It is a 2-4 player game suitable for children age 3 and up. You get the pond, 12 ducks, a sticker sheet and instructions. This game requires 2 AA batteries, which are not included. 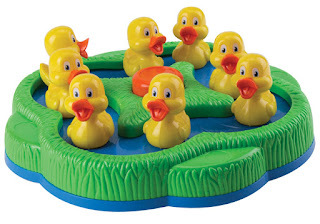 When you turn it on, the ducks begin swimming around the pond. Players take turns picking up a duck and looking at the bottom. If it matches their color and shape, they get to keep the duck. If it doesn't, they put it back. 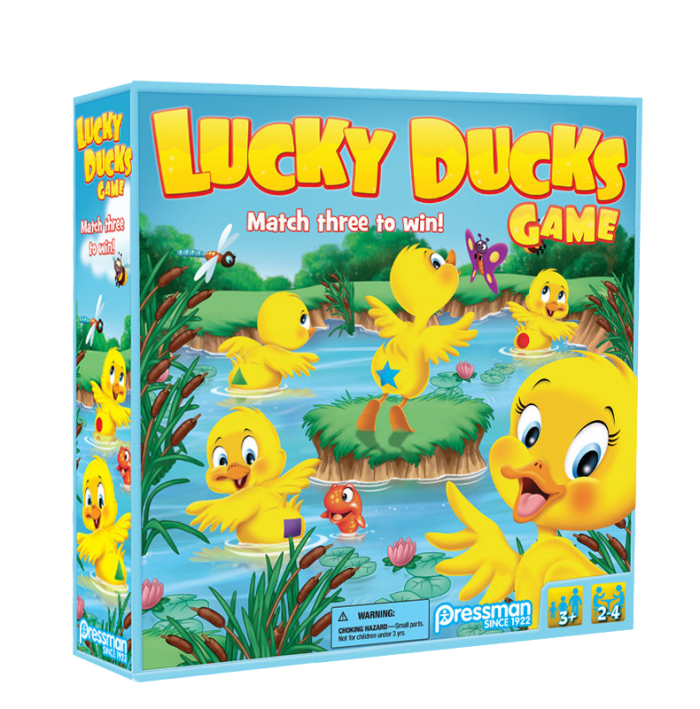 Playing Lucky Ducks will help young children learn the shapes and colors. You can purchase this game right now for $13.29 HERE . This game is called Giggle Wiggle. It is such a cute game! 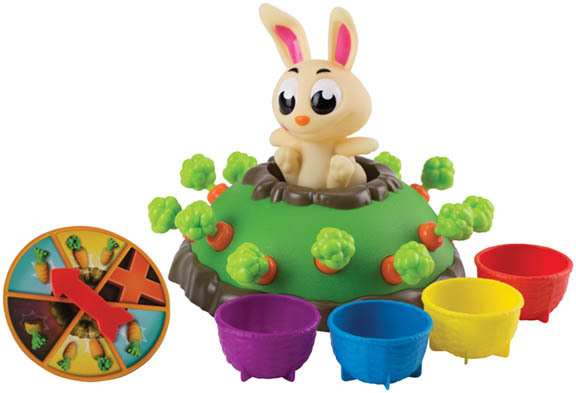 This is a 2-4 player game and is suitable for ages 4 and up. 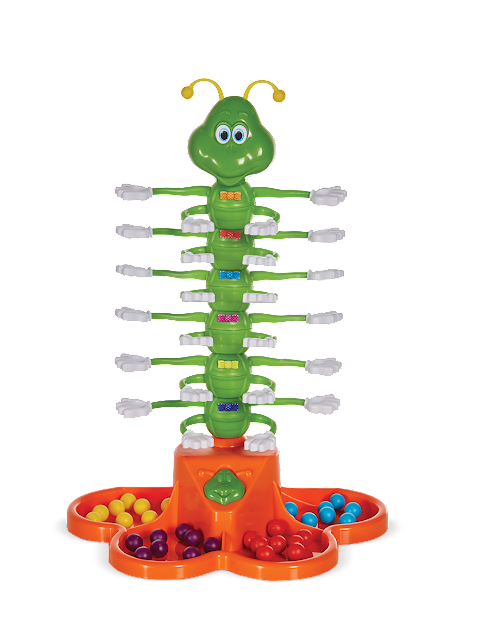 You get 28 multi-colored balls, 1 Giggle Wiggle Caterpillar, 1 Giggle Wiggle Base, 1 Sticker Sheet and instructions. It also requires 3 AA Batteries which are not included. Each player choose a color of marbles. 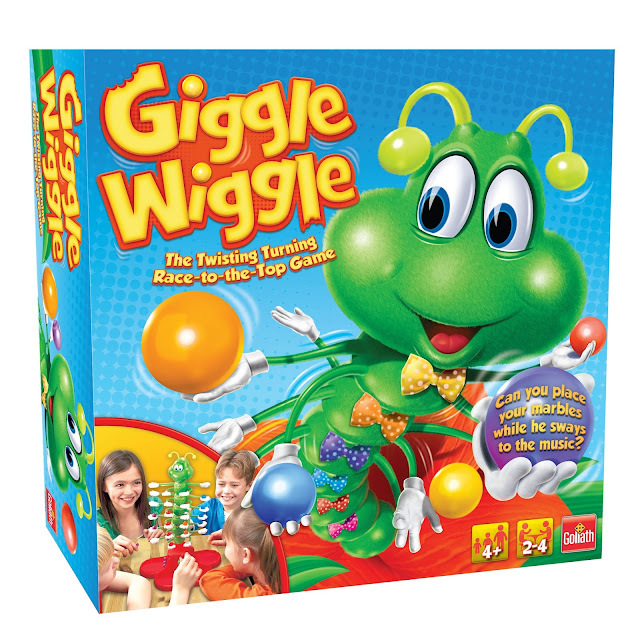 As the Giggle Wiggle Caterpillar sways back and forth, you need to place your marbles on his hands. 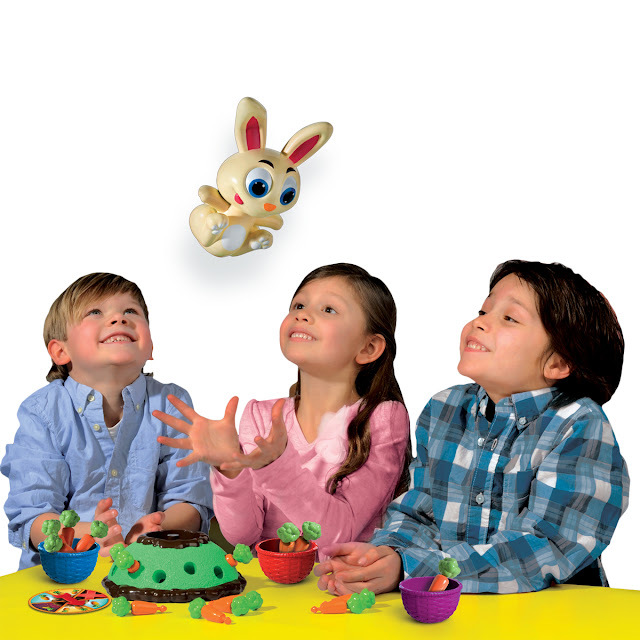 The first player who gets all of his marbles on Giggle Wiggle's hands without them falling, wins! Kids really love this game! You can purchase Giggle Wiggle right now for $10.68 HERE . This game is called Charades For Kids. It is a 3 or more player game and is suitable for ages 4 and up. It comes with 150 cards with 450 charades, a sand timer, game die and instructions. This is a simplified version of the regular Charades game. What's great about this is that there are 3 levels of clues so all ages can play. 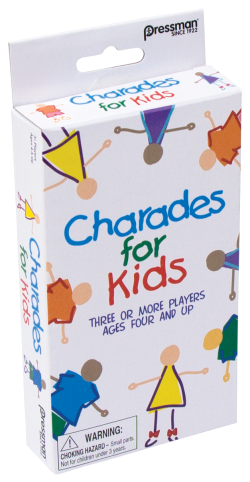 Like in the original Charades game, you act out the clues and the other players try to guess what you are acting out. It's lots of fun for the whole family. 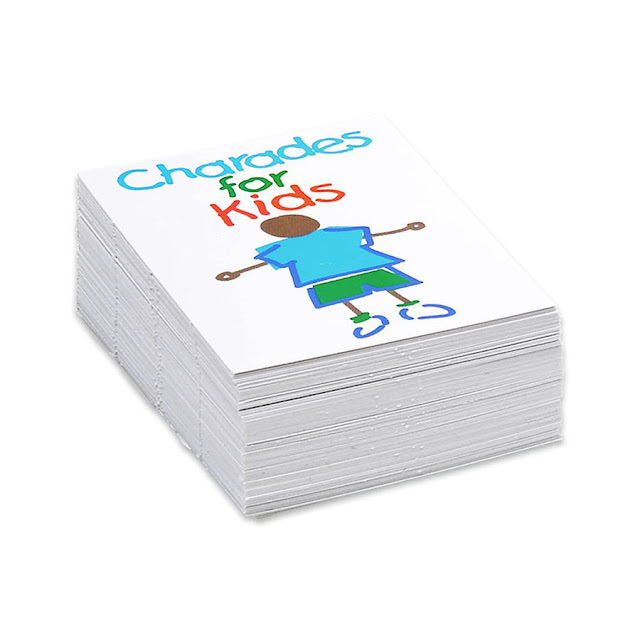 You can purchase Charades for Kids right now for $5.97 HERE . 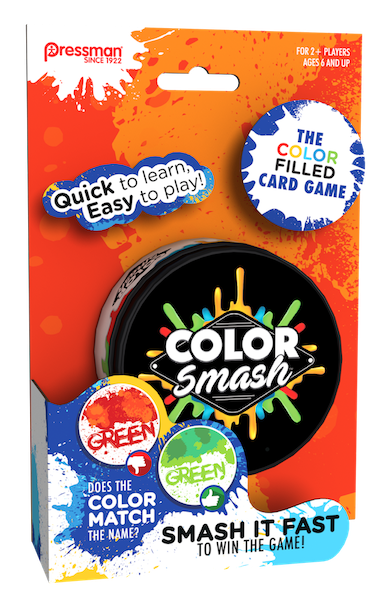 Finally we have a game called Color Smash. This game is for 2 or more players ages 6 and up. There are 72 cards which are stored in a paint can storage tin. There are four types of cards: cards with a splat of color, cards whose word and color match, cards whose word and color do not match and the steal card. Players take turns flipping up one of their cards onto the middle pile. When a card is flipped up that has a matching word and color, be the first one to slap the pile. The first to slap it gets to take the pile. If you accidentally slap a card that does not have a matching word and color, you must place 5 cards from your hand under the middle pile. When a steal card is turned up, the first person to slap it gets to steal 5 collected cards from the player of their choice. The game ends when all cards have been played or there is only one player left. To determine the winner, each player counts their collected cards (the ones the got by successfully slapping the pile). The player with the most collected cards wins. To me this game is very reminiscent of the classic card game Slap Jack. It's a lot of fun to play. 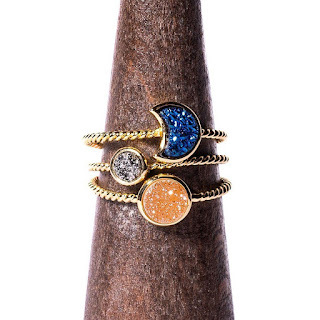 You can purchase Color Smash for $5.97 HERE .